Lunch & Learn - Help & Hope! Adult Ed and PW Women invite you to join us on Sunday, November 4 for a lunch & learn to hear how Family Shelter Service serves our community. Domestic Violence is an important topic, as it impacts our friends, our neighbors and members of our congregation. Join us as we learn how FSS provides help and hope to those affected by domestic violence, including how the Prevention Program reaches many of the youth. 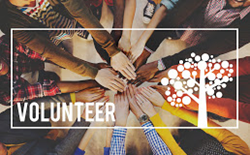 Learn about volunteer opportunities. Register for lunch today. Please join us for our next adventure on November 10. 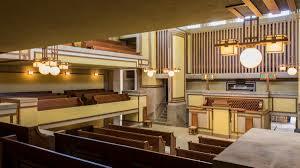 We will tour the newly renovated Unity Temple at 10, lunch at Winberie’s at 12 and tour Frank Lloyd Wright’s Home and Studio at 1:10. Car pooling is suggested. Please contact Mark Lively for transportation assistance. The home is only accessible by stairs without options. This will be a popular outing so please sign up soon, the deadline is November 1. This is truly one of Illinois greatest historical treasures and will be a memorable event. ~ 1) Alsatian Chicken Salad - (available in Gluten free) Grilled chicken breast, blue cheese, field greens, sauteed apples, candied walnuts & apple cider vinegarette. ~ Bistro Burger - Half pound, melted Brie, Applewood smoked bacon, grilled onion, Dijon mayonnaise, lettuce, tomato, buttery bun.